And to bring the Eucharist to the sick in hospitals, in nursing homes, or in their homes as needed. The minimum age for an Extraordinary Minister of the Eucharist is twenty-one; however, persons older than this are generally chosen. Depending upon the size of the parish, six to twelve Extraordinary Ministers may be mandated for one term. If, in exceptional circumstances, a pastor feels that more are required, he may request these from the Liturgical Commission. The term of the mandate is two years, with renewal possible for two more years. If there are exceptional reasons for wanting to appoint someone for a third term (or more) the Liturgical Commission may be consulted. The first six Extraordinary Ministers in the parish were mandated in January 1980 during the period when Father Albert Corradin was pastor. Prior to that time, Eucharist Ministers were required only on an occasional basis. The parish was growing, but still rather small; and there were usually two or three priests available. This intermittent need for Extraordinary Ministers continued during the early years of Father Kilty’s term as pastor since Father Galanti and Father Hagemoen (at the time a seminarian) were in residence for various periods. During Father Mendenhall’s one-year term as pastor, the number of ministers remained at about ten. During his tenure as pastor of St. Stephen’s, Father Holland felt that the needs of the parish were sufficient to require sixteen ministers to cover Sundays (five ministers each week), special liturgies (Palm Sunday, the Easter Triduum, Christmas), communion services, and visits to the sick and disabled. This number was approved and has been the basis for selection of candidates. Since the first Eucharistic Minister in the parish was mandated, there have been approximately fifty-five ministers, a surprisingly small number given the number of years the program has been in effect. This situation results from problems in recruiting new ministers. Some highly suitable, potential candidates feel they are not worthy; some feel that a lay person should not administer the Sacrament, while others feel they already have too many other commitments. 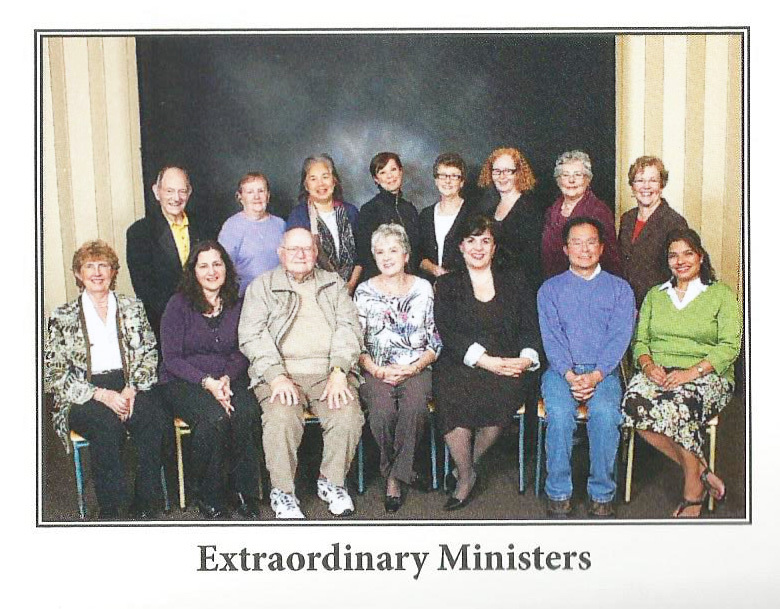 Many of our current group of ministers have served for several terms. This is particularly true of those serving during the past six years. All of our Extraordinary Ministers have exercised their office with reverence and commitment, and there have been very few occasions when a minister was unavailable to assist our pastor at Mass. Our hope is that this commitment to the Eucharist will continue to grow.